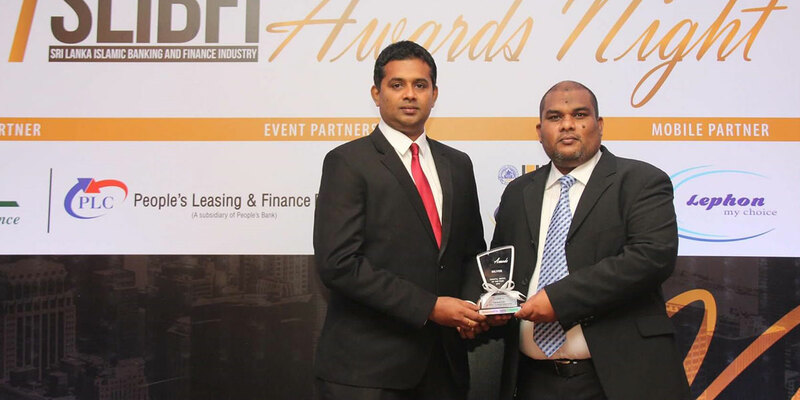 HNB General Insurance Takaful, the Islamic Insurance Unit of HNB General Insurance Limited (HNBGI), received the Silver Award for the Takaful Entity of the Year 2017 at the Sri Lanka Islamic Banking and Finance Industry Awards held recently. Speaking about the award, Managing Director/CEO of HNBA and HNBGI Mr. Deepthi Lokuarachchi stated “We’re indeed honored to be the recipient of this award under the category ‘Takaful Entity of the Year’ for the second consecutive year. As a leading business outfit in the country, our Takaful operations are well poised to further expand into unique and growing market segments. This award is a testament to the consistency in our service quality and a product offering with comprehensive features for individuals and businesses in compliance with the Insurance Regulatory Commission of Sri Lanka as well as the Sharia Board Guidelines.” Head of Takaful, Hifly Huzair extended his sincere gratitude to the entire Takaful Unit of HNBGI for their dedication, commitment and go-getter spirit in overcoming challenges and developing the business model in a short span of time.